Avocado is the fruit of a tree found natively in South Central Mexico. Yes, this means that avocado is definitely a fruit – a berry, in fact! Because of this heritage, avocados are exclusively available for cultivation in tropical and Mediterranean environments. Interestingly, fossil evidence shows that avocados have existed for millions of year and were once much more widespread in cultivation. I love using avocado in savory as well as sweet dishes; it can be an awesome replacement for a creamy texture! You might think about avocado in the context of healthy fats, considering it is made of 71% omega-9 fatty acids and 14% omega-6s, but did you know that it also features an amazing variety of vitamins and minerals? 100g of avocado contains more than 20% of the recommended daily value of vitamin K, folate, vitamin B5, and vitamin B6! It’s also a pretty good source of potassium as well as magnesium, manganese, phosphorus, and zinc. In “fun facts,” a recent epidemiological study showed that people who eat avocado are more likely to have better diet quality, better nutrient status, and a lesser likelihood of having metabolic problems! 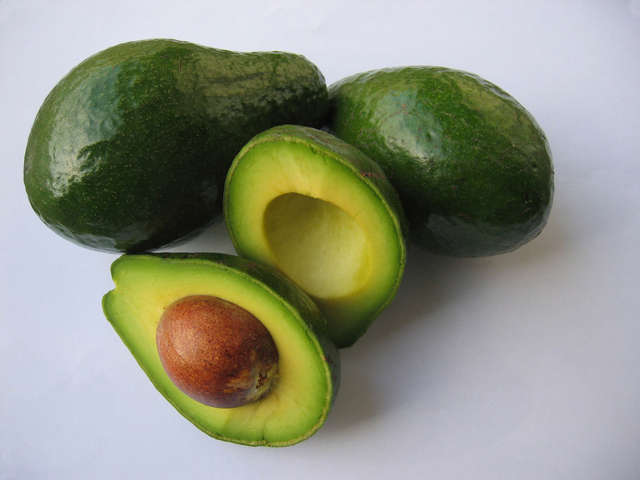 There is also some evidence that eating avocados could help with lowering LDL cholesterol and triglycerides. Avocados are at the top of the Environmental Working Group’s Clean 15, so the chance of being exposed to pesticides when you buy conventionally-raised avocados is minimal. You can find avocados in the produce section of the supermarket or in your farmer’s market if you live in warmer year-round climates.